Petrina, a young wood nymph with a magick acorn was conceived in Paradise…California that is—in the 80’s. I had just moved from the Los Angeles suburbs to the forested community of Paradise. It was an escape from concrete city. As a young girl I was introduced to the forests, lakes, rivers and mountains by my father who loved to camp in the wilderness. I had fallen in love with nature too. Tell Us More About Why You Created The Story? 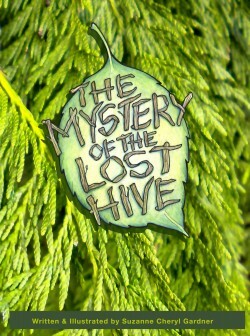 The Mystery of the Lost Hive is a story about Nature and the beauty of her cycles. But it’s also a story about how deadly pesticides can be, and how they could affect our forest animals and the environment. It’s a story about where “home,” really is, and how we can create our own lives through positive thinking. These are issues that speak to my heart. So I decided to let the animals speak through me. The animals, just like humans, learn as they grow and their instincts play a powerful role in their ongoing survival…But they are not the smartest creatures, and really are quite naïve, yet that makes them charming and whimsical just like all real animals can be. Obviously animals don’t speak words like humans do, but humans are capable of translating their feelings and energy into our own language if we approach them with care and open our minds and hearts to the concept. We can teach them and they can teach us! My desire is for young children to appreciate how important Nature is. What’s the Evo lution of the Characters? Petrina and Her Forest Friends were born through my desire to explore Petrina’s world, and for many years I created three panel comic strips that originally were published in The Paradise Post (where I worked!) Eventually I moved from Paradise to Santa Barbara and during that time I continued to hone my cartoon skills but it was not until I was living on Bainbridge Island, WA that I resurrected my comic strip and created ongoing story lines with a metaphysical leaning. 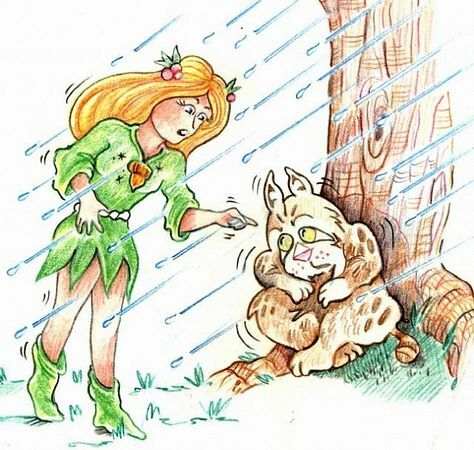 Petrina and her Forest Friends was revived, refreshed and renewed in a Unity Newsletter and published every month for 10 years! 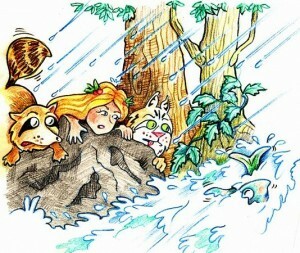 Petrina’s Forest Friends Strips — Click on Strip to see more!